It has, for some reason, bothered me that it seems like such a struggle to perform such a simple task. On Earth that is. There has to be a better way, or at least something that will help make the task a little less cumbersome. So, I sat down and designed the Tortilla Assist Device (TAD). 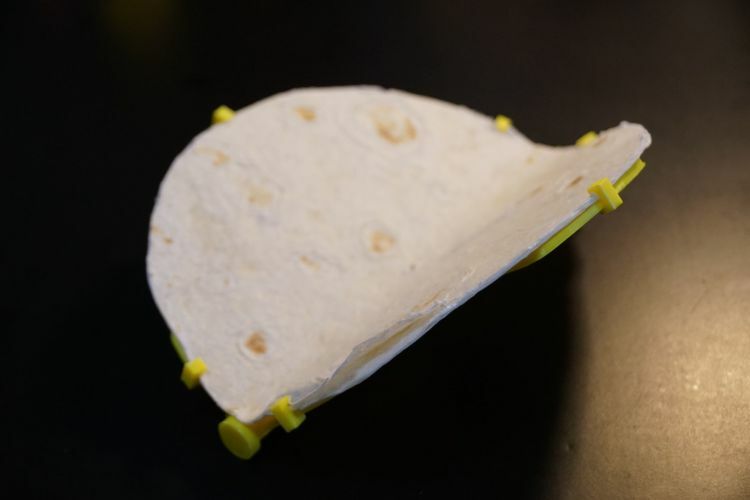 Create a device that will, in micro-gravity, hold open a tortilla so that the astronaut can apply the fillings, allow the tortilla to be closed, and allow the tortilla to be easily removed. 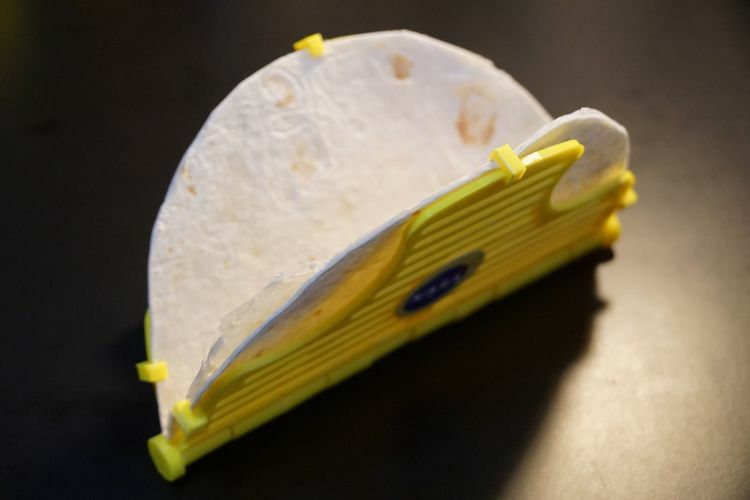 The International Space Station is supplied tortillas in a package already folded in half. Today it cost $10,000.00 per pound to send an object into Low Earth Orbit. Space is at a premium on the ISS. Must be reusable and easily cleaned with only a sanitary wipe. 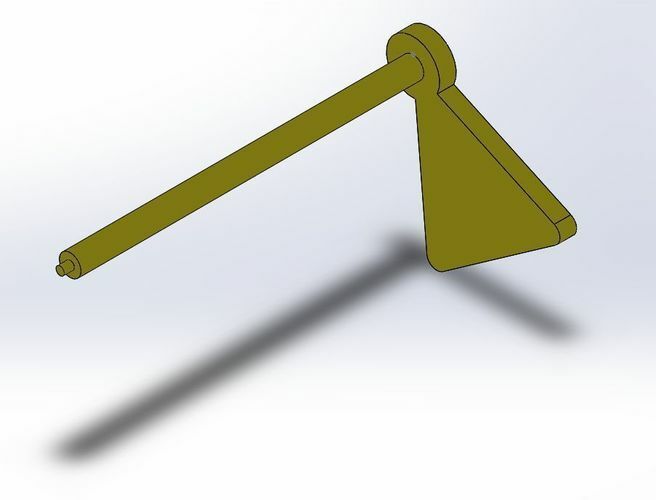 A properly sized half hinged device with retaining hooks that allows for the tortilla to be secured to the flat faces of the device, but still easily removed. 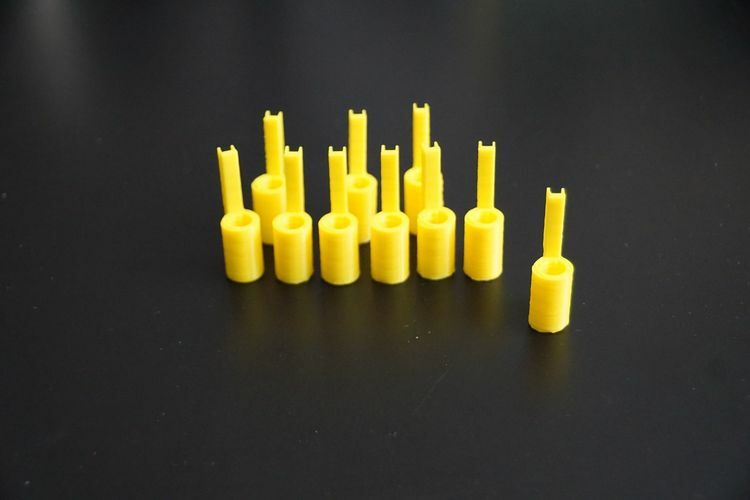 The design (after many trials) was created to maximize the ease of cleanup and finishing and to allow scalability. 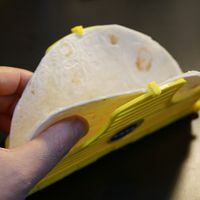 The Tortilla Holders could have been incorporated into the side panel design, but they are small and require delicate removal of printed supports. 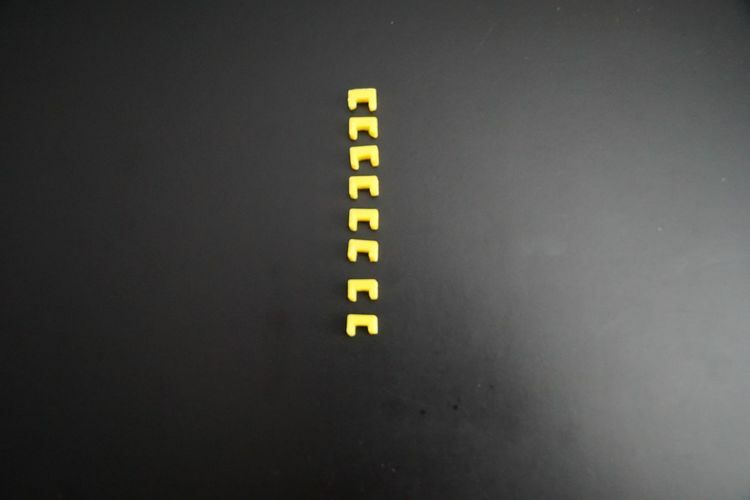 The hinges could have been printed as two solid pieces. A modular hinge design allows you to scale the side panels for different sizes of tortillas without having to scale the hinge as well. Simply add more hinge pieces to the design as needed and lengthen the hinge pins. 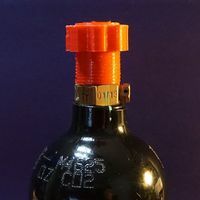 The hinge pin could have been printed as a long single hinge with a fixed cap on one end and a removeable cap on the other. 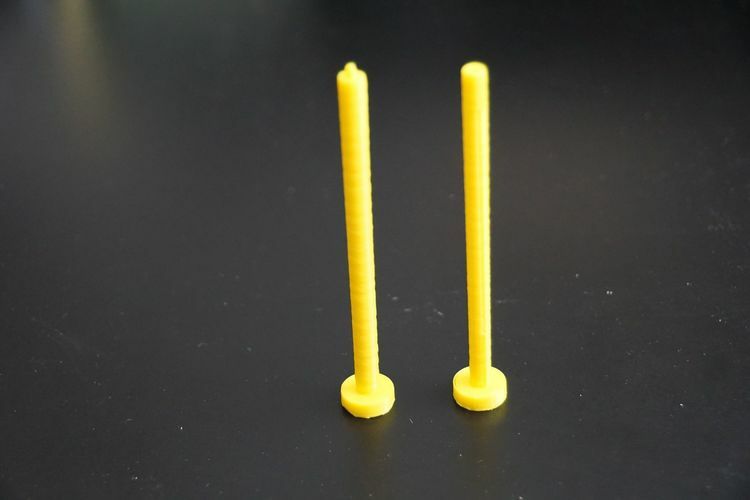 Long skinny parts tend to not print well, two shorter pieces print cleaner. 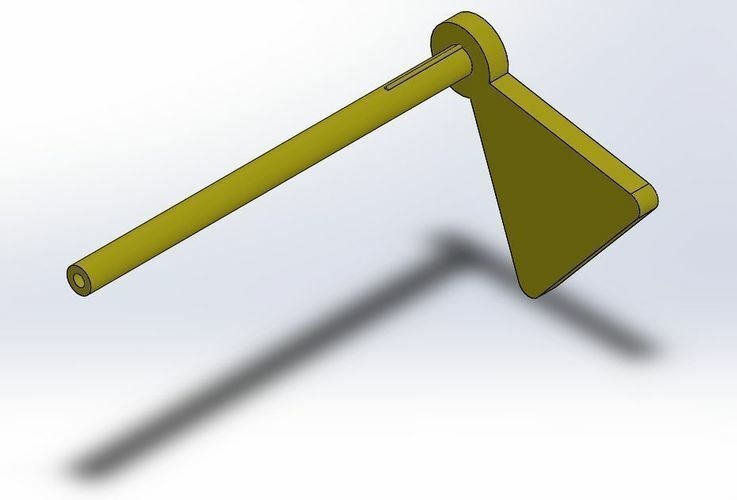 A friction design for the hinge was used for simplicity sake. One hinge section has .5mm “bumps” on its inner surface. The female hinge pin has a single .5mm bump. The TAD can open over 300 degrees, but will hold the angle set by the user. Many other ideas were considered, a spring-loaded pin with notches, a push-pull locking design, latches, etc. But in the end friction worked best and made the design simple, easier to operate, and completely metal free. This model is designed to fit an 8 inch tortilla. The model can be scaled up or down to accommodate different sizes. 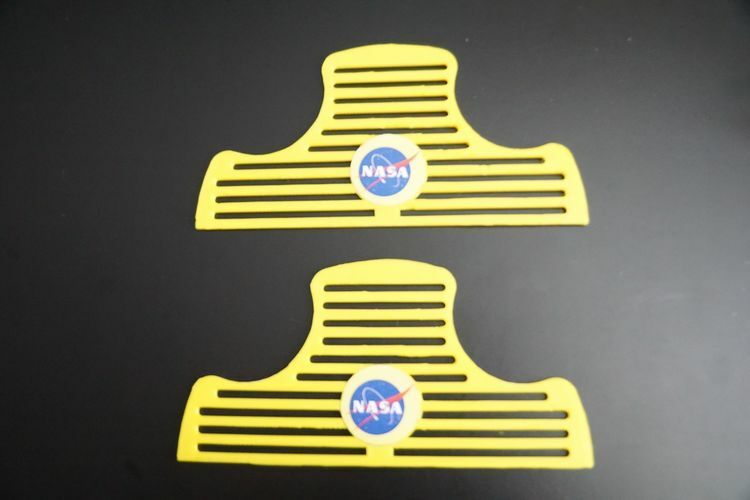 There are no feet or flat surfaces to support the TAD sitting up, since it was designed to be used in micro-gravity. Glue (I used CA, a food safe epoxy should be used if the device is going to come into contact with anything edible. Please see the document - Tortilla Assist Device Design and Instructions for more information and assembly instructions! 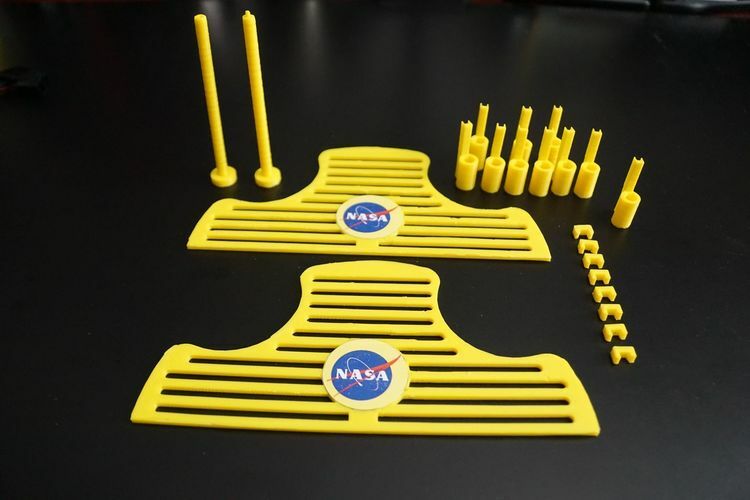 If you want the device to stand up on it's own here on Earth, I created a version of the Hinge Pins that have feet - Hinge Pin Female Terrestrial and Hinge Pin Male Terrestrial. 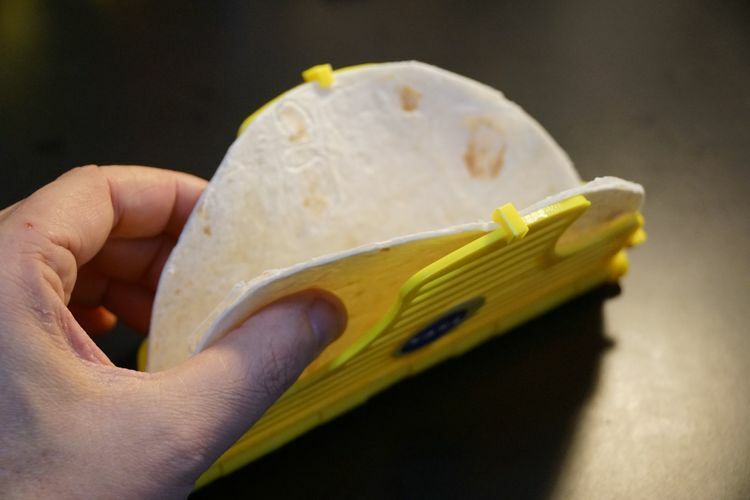 You can probably forgo the Tortilla Holders as well, gravity should hold the tortillas flat against the Side Panels.